The Octagon at Gluttony, Sun 25 Feb.
Take four happy, healthy and talented young folks with some well-developed circus skills, an assortment of props, drop them all into the middle of a crowd and watch the place get happy! This performance begins with one of the troupe declaring that they would rather go to the beach. But having a show to put on, they decided to bring the beach to us. In my case, with two very tired little children within minutes their eyes were wide and watching with rapt attention. The succession of entertainment included gymnastic style routines, juggling, hula hoops, trapeze, unicycle, beach balls and aerial silk, obviously some was solo, but there were duo and whole group segments as well. There were plenty of WOW moments – some spectacular solo and group routines – especially the rolls down the aerial silks, jumping the unicycle over a person and a juggling duel while standing on another’s shoulders. The thing most stood out is just how contagious the smiles are from the stage. And while many of the adults might have seen some of these stunts before, there’s nothing quite like watching the wonder on the faces of the young, seeing these things for the first time – it’s a joy to behold! 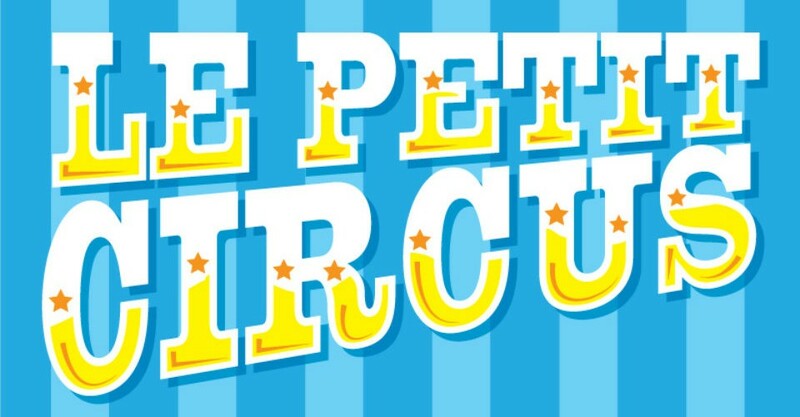 Le Petit Circus continues at The Octagon at Gluttony from 3.30pm until Sun 18 Mar.